The Open University has published its Trends in Learning report for 2018. Based on research from the OU Institute of Technology, the report looks at emerging practices in education and outlines how such developments can best be utilised in the future. The report illustrates a huge change in the way training and education is delivered. Technology makes it easier every day to learn from home when it suits you, and allows for regular student feedback and easy communication with tutors. It includes analysis from learning professionals and experts in the field with practical knowledge of how the industry can make the most of these new developments. The report highlights the benefits of learning in short bursts rather than in extended blocks. Breaks, switching tasks, and short, repeated sessions have been proven to improve short-term memory and ensure that information stays in the long-term memory. Research by Dr Paul Kelly from the Department of Clinical Neurosciences at the University of Oxford has shown how short sessions of learning allow the brain to better retain information. UK Versity’s online webinars and digital learning are perfect for a spaced learning approach. Lessons can be broken down into small sessions, which are far more manageable and flexible. This is especially ideal for skills training, as it allows students to suit their learning hour around existing jobs, and ensures they retain the skills they learn more effectively. In the report, practitioner Sue Bradshaw talks about many companies that have benefited from spaced learning in training their staff. She talks about organisations sending lessons to phones and tablets, allowing students to learn on the go. Immersive learning is simply where students experience realistic situations designed to feel like the real thing. Experiential learning (learning through experience) is many people’s preferred method of acquiring new skills. Role-play has always been an essential part of business training; immersive learning is a step up from this. Thanks to VR and sensory tech immersive learning can take the form of very realistic simulations that respond to the user’s actions. This form of learning has obvious benefits for crisis training, piloting and other high-octane careers, but many industries can benefit from a version of it. Online learning makes it easier to put the student into a state of mind that allows them to picture themselves in a real life situation. The benefit of flexible access to online lessons is that you can work and improve on your skills at the same time, allowing one to inform the other. Much ink has been spilt over the very recent concept of a ‘post-truth’ world. In the era where the lines between diplomacy and showmanship are becoming blurred, the question has arisen on what ‘post-truth’ means for education. People are becoming more wary of the legitimacy of the information they receive. Employers encourage thorough fact-checking of sources checking from their workers, and now more than ever people look to legitimised organisations for their learning. 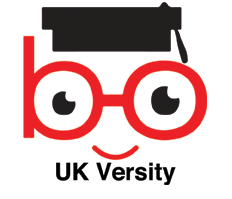 UK Versity has received accreditations and awards from a number of professional education bodies. The UK Register of Learning Providers, the Organisation for Tourism and Hospitality Management and Qualifi Ltd, among others, have recognised the service provided by UK Versity. Learners are also encouraged to take their own initiative as much as possible, fact-checking and doing research on their own terms. Critical thinking is perhaps the most important skill a person can learn and it can be developed and improved continuously. Employers look for people who question things and go against the grain, doing what they can to ensure the legitimacy of what they believe, share, and work on. How your data is stored and used has leapt forward in recent years. Data can be used, or misused, for everything from social media advertising to applying for jobs. Learner-led analytics is the use of data to get students involved with their learning, setting their goals, tracking progress, and providing feedback. Learners and organisations can consistently improve their performance thanks to regular updates on how their training is going. Through the use of algorithms and student, data learning can target the individual, providing them with the best program to suit them. UK Versity always seeks feedback from students and ensures courses are progressing in a way that is suitable for them, and that their own skills are improving. Our students learn in completely individual ways, fitting their learning hours around their own lives and completing their courses at a pace that suits them. Regular feedback is a simple and effective way of improving services and keeping track of student’s work. Humanistic learning approaches not just individuals, but the collective knowledge of whole communities. One of the most effective and long lasting ways of creating a better future for a community is education and skills training. It allows people to improve their whole local area as well as their own lives, working for each other by providing their own unique skills for the betterment of their neighbours. Once again technology enables this, with mass communication and freely available information making it easier to share skills and knowledge. The skills and courses UK Versity teaches are designed to create professional prospects for learners. Social care and health courses, in particular, have an obvious positive impact on communities, but business management and hospitality courses make it easier for people to run their own businesses, boosting the economy in their local area. The accessibility of short online courses makes it much easier for more people to access education, and the worldwide availability reflects a smaller world. People can learn in their own homes, and access lessons are drawn up miles away that can be extremely helpful for their own towns and cities.